Adding beads with a crochet hook is probably one of many crocheters favorite methods – but of course, it all depends on the project! We love the flexibility of this method because you can just jump into the project and figure out bead placement/number as you go. Furthermore, you can accessorize your crocheted product using this skill without having to count the them. Tamara Kelly created this pattern for adding them to a crochet project, and even added a very easy to follow video. Access the FREE guide for this wonderful crochet skill of adding beads using a crochet hook with the video from her website and start crocheting today! 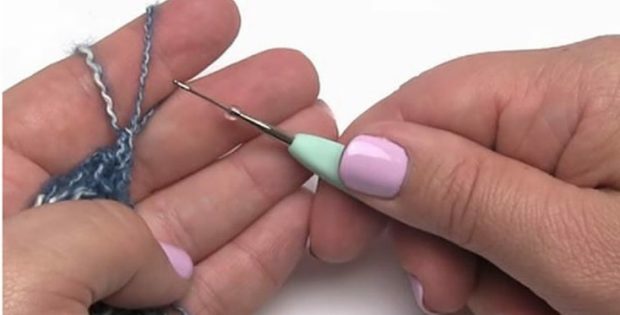 As a matter of fact, you can access the FREE crocheted guide on how to add them with a crochet hook by clicking here: Using A Crochet Hook To Add Beads. Featured image(s): Moogly, thank you! Watch the great video tutorial from Tamara and learn how to add beads using a crochet hook!